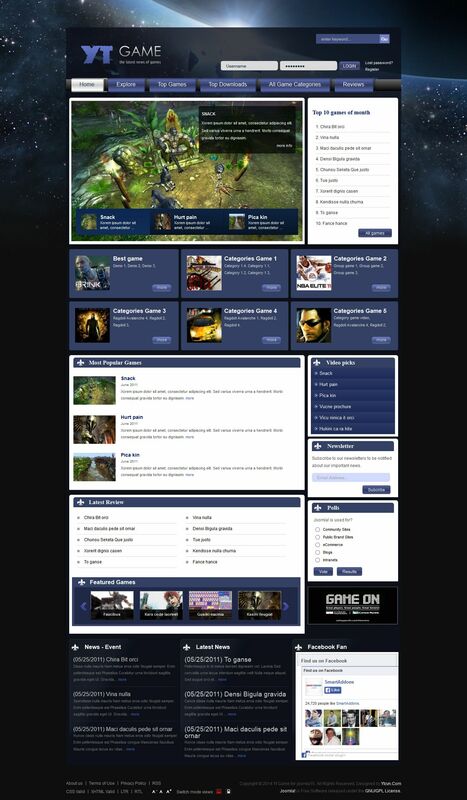 Yt Game - professional template for gaming themes for websites running on Joomla 1.5. This template contains a number of club extensions, allowing flexible display multimedia content on the site with the ability to integrate with popular social services. Perfect for creating gaming portals.